There are no comments for Arctic Majestry. Click here to post the first comment. 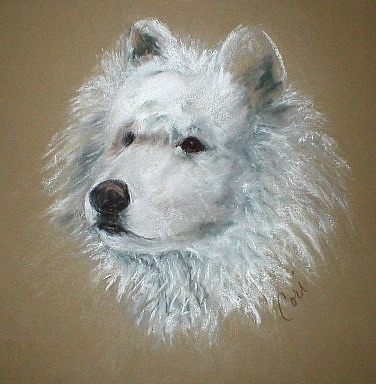 This framed pastel drawing was one of two studies I did for a drawing used for the Samoyed rescue fundraiser in Texas.